Want to read all the amazing books out there, but can’t seem to find the time? We are also holding a book review session on a featured book. This way you get to learn from all of the best parts without spending hours reading! 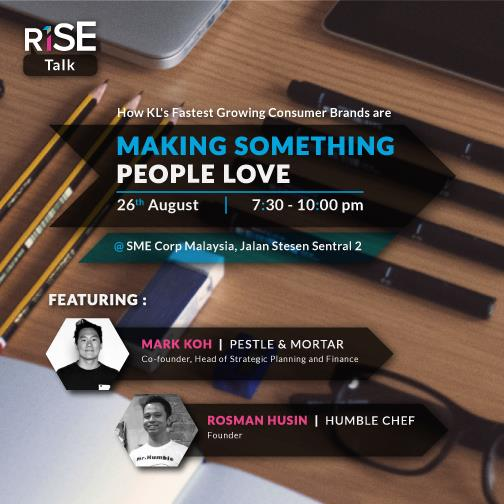 RISE by SME Corp is a platform that supports entrepreneurs to bring their venture to the next level. We provide support in the form of content, exclusive information, peer support and access to experts. Indicative information only. © Calendata.com 2010-2019. Powered by Blogger.